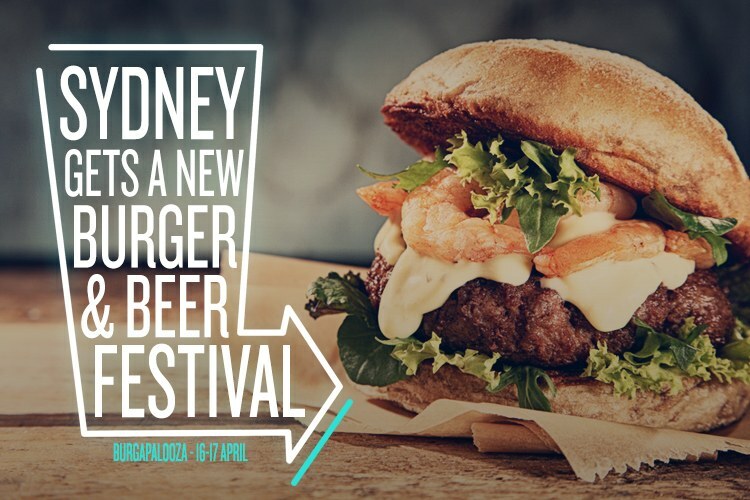 Sydney’s Getting Its Own Burger Festival! With deliciously fluffy buns, melt-in-your-mouth cheese, and tender grilled beef, there’s nothing better than a good burger. And, if you’re a true Sydneysider, you’ll know that burger joints have been popping up all over Sydney. 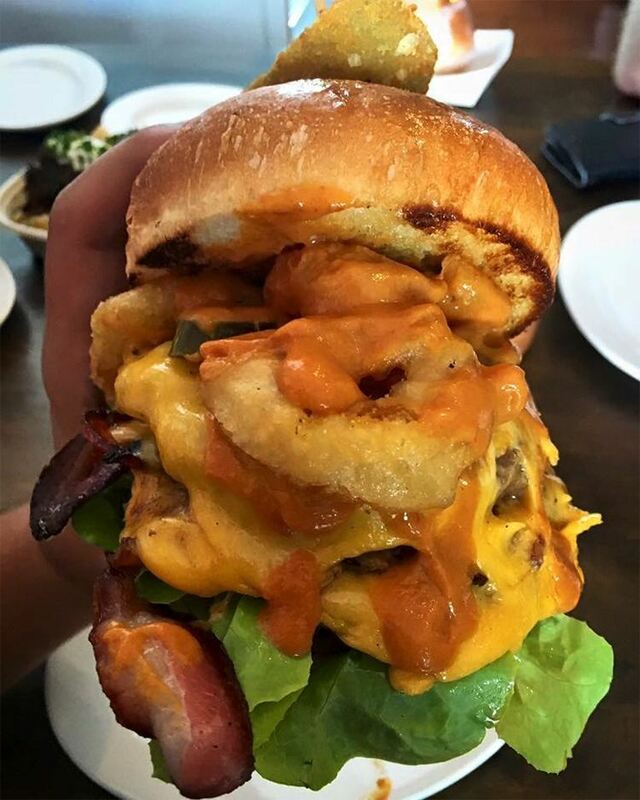 From Five Points to Jacks Newtown to The Burger Project, there’s no doubt that Sydney’s burger game is strong. 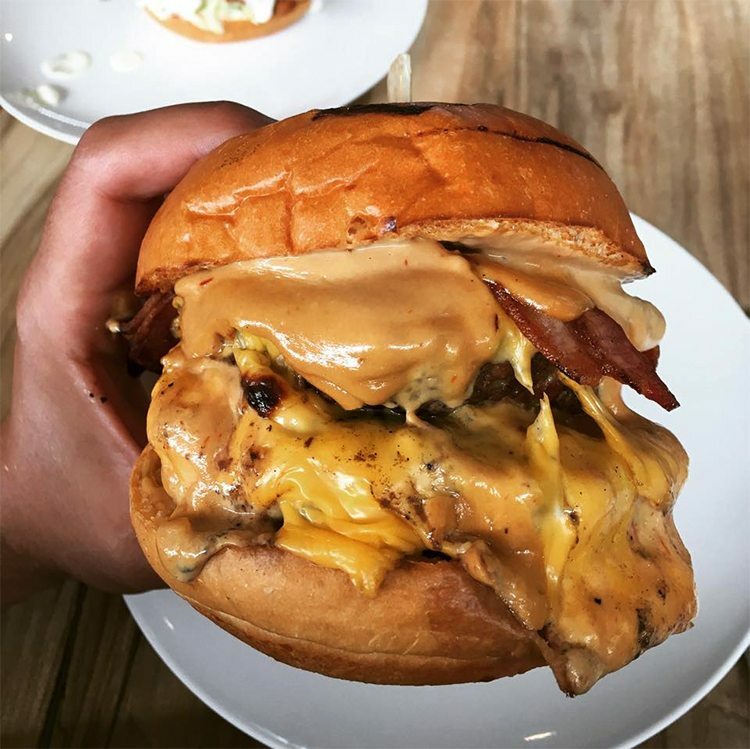 Well, hold on to your hats, folks, because the burger scene is about to get a whole lot better thanks to the geniuses at Hashtag Burgers, who have brought together the very best in the burger business. That’s right Sydney, we’re talking about Burgapalooza. It’s a glorious union of $9 burgers and beer with some of the biggest names in the burger business. It really doesn’t get much better than that. Except that it does. 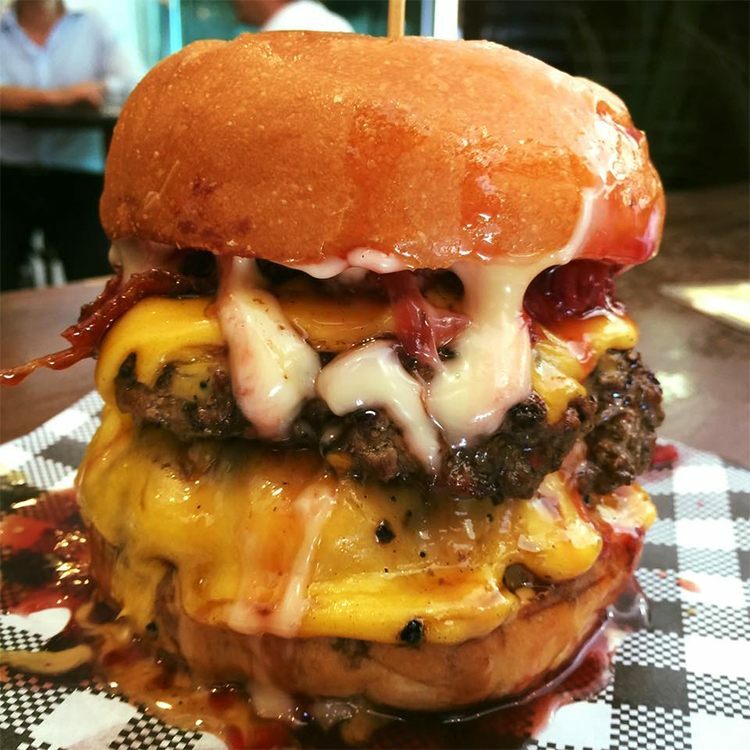 The chefs from Sydney’s leading burger venues will be designing special burgers just for Burgapalooza. That means you’ll be eating once-in-a-lifetime creations from the likes of Bar Luca, Pub Life Kitchen, Milk Bar by Cafe Ish, Bare Grill, and more! We sat down with Archie, the man behind Burgapalooza, to find out more about what we can expect. Hi Archie, thanks for taking a break from your burger journey to talk to us. Can you “lettuce” know a bit about Hashtag Burgers? Hashtag Burgers is a partnership between Ben Kagan and myself, Archie Saliba. We started Hashtag Burgers just over a year ago with the intention of putting on some fun parties, inviting our friends down, and eating some crazy burgers. Since then, we have expanded into pop-up restaurants and now we are on the verge of our first burger festival. How did you come up with the idea for Burgapalooza? Over the past year, we have made a lot of great connections in the burger community. We have always had the vision of bringing everyone together and collaborating on a massive event such as this. As Sarah Robbins (head chef at Bar Luca) likes to say, “Team work makes the dream work”. We’re so glad your vision has come to fruition. So what can we expect from Burgapalooza? Anyone else feel like a burger from Bare Grill? How mysterious! It looks like there are going to be some pretty cool burgers, beers and acts on for Burgapalooza. What are you most excited about? I’m first and foremost a burger lover. I’m personally most excited about trying all the chef’s unique creations on the day. We have already seen some healthy competition between the chefs, and I think this will really drive them to develop some really creative, next-level burgs. 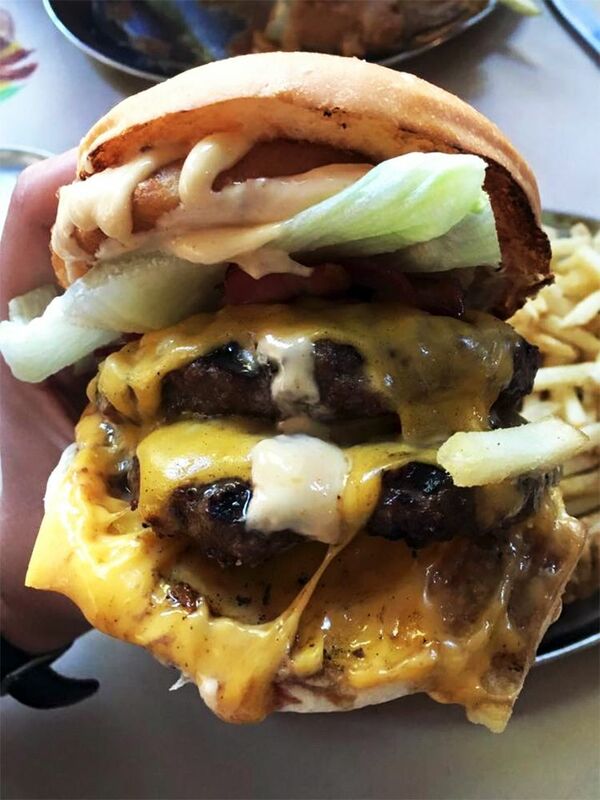 Grab an amazing burger creation from Bar Luca like this double cheeseburger! It’s probably safe to say that you’re a burger aficionado. What would go into your perfect burger? If your meat is fresh and your cheese is melted, then you are halfway there – chuck that inside a soft milk bun with some crispy bacon, fried onions and special sauce and you’ve got a winner in my eyes. Honestly, everything that goes into a burger is awesome. That’s probably why they have always been a classic choice, but why do you think they’ve suddenly exploded in popularity? 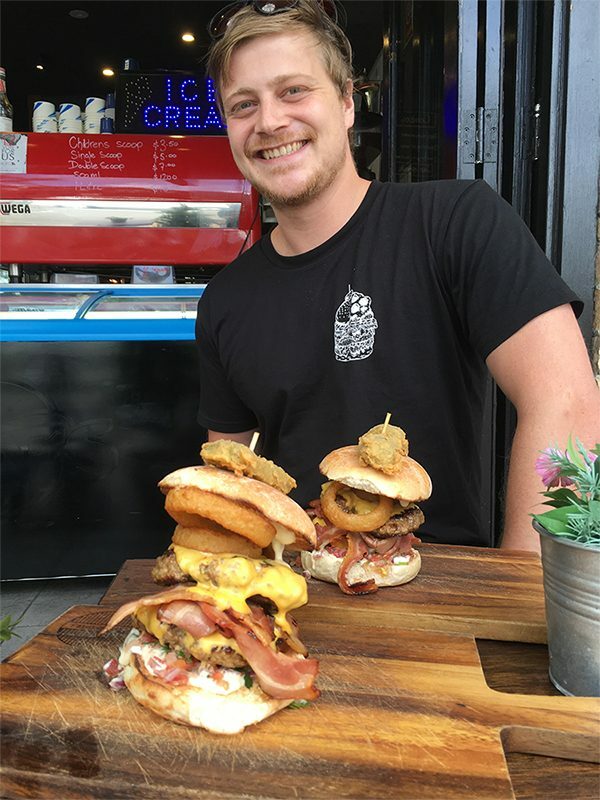 Burgers have definitely exploded due to the endless creativity of Sydney’s burger chefs. They are highly competitive and are always looking at ways to tantalise, surprise and excite their customers. Just when you think you’ve seen it all, there is always something else around the corner. It sounds like there are going to be some pretty exciting burgers at Burgapalooza as well! But in the meantime, we’d love an insider’s scoop! Where are your favourite burger joints? What’s the best burger you’ve ever had? I was brought up on the burgers from Out Of The Blue in Clovelly. They have been a favourite for years now and will always have a special place in my heart/stomach. Bar Luca of course never disappoints – Sarah Robbins produces unique and interesting burgers week in, week out. 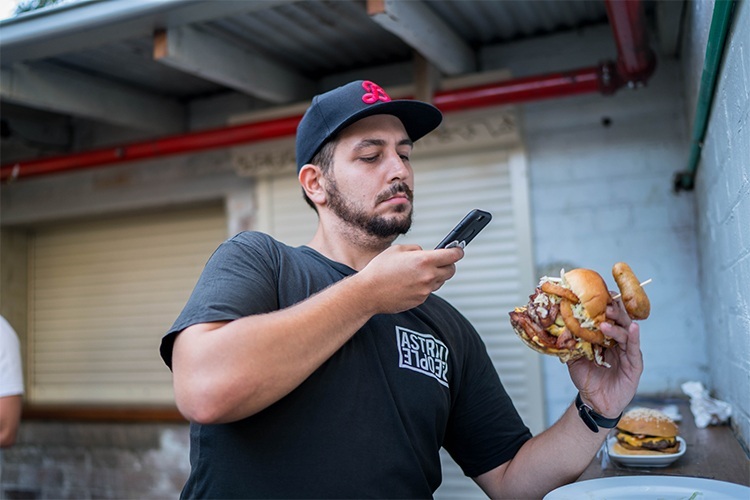 The best-kept secret in Sydney is a small burger van in the middle of Centennial Park – they have perfected the classic burger with the lot. There you have it, Sydney! Burgapalooza will be held on 16-17 April at Manning House in Sydney University. Tickets will be available for both lunch and dinner sessions and go on sale Wednesday 16th March. Make sure to check out their Facebook page for updates. Can’t wait for your burger fix? Why not work your way through our lists of the best burgers in Sydney, Melbourne, Brisbane, Adelaide and Perth?